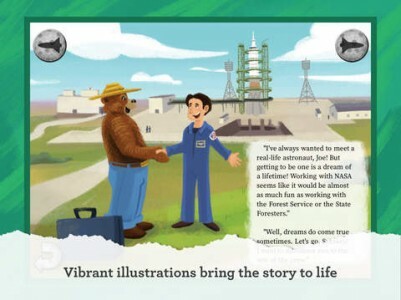 Smokeys leaves the comfort of his forest to embark on the biggest adventure of his life, blasting off into orbit to become the first bear in space. 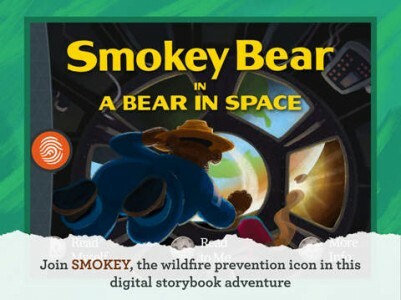 Smokey makes the trip to the International Space Station and learns about how the incredible observations from space can help in the fight against wildfires. 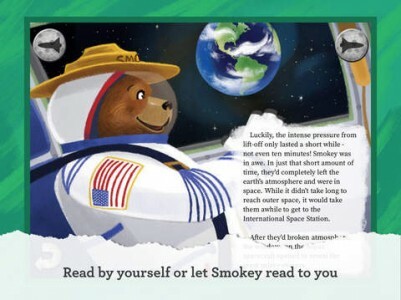 Follow Smokey as he launches into history as the first bear in space. 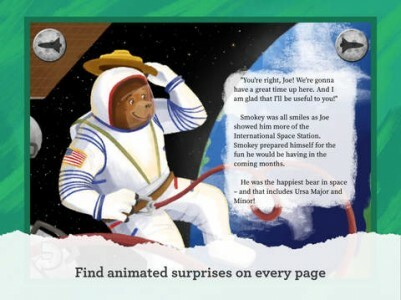 FIND the bonus behind-the-scenes video featuring Smokey Bear in the voiceover recording booth. Brings to life Smokey’s message in picture book format with text for early readers and anyone else who loves a good bedtime story. An impactful story filled with fire safety tips for parents to share with their children. Perfect for teachers to use at school with their students or for wildfire prevention educators in the field Full-color, vibrant illustrations with an art style remindful of classic Little Golden Books. Filled with hidden cartoons animated by Emmy winning animation studio, Animax.